Speaking purely about what I know, choosing partywear and dressing daughters for Christmas who are in the 11-12 year old age bracket has to be one of the trickiest ages to dress for. 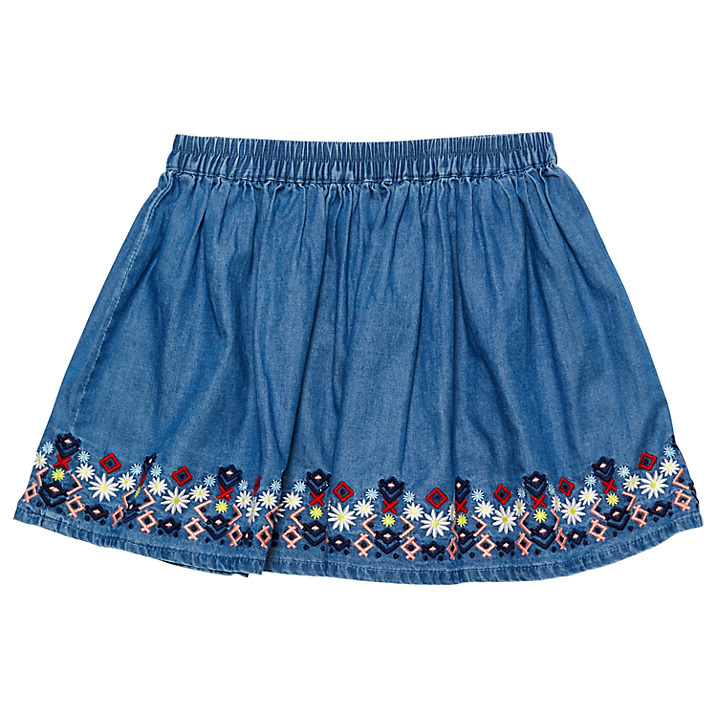 Gone are the cute little tutus that we bought in abundance when they loved anything that would twirl. I am struggling to find partywear outfits that she won’t reject straight off and I am desperate to hold onto those moments of dressing my daughter in age appropriate clothes and accessories. We are already experiencing the all black phase, requests for cropped tops and very few skirt or dress purchases any more. To be honest, it is rare to find independent labels who go up to age 13. The large retailers do have partywear for girls but it’s not always easy to find something that both mother and daughter agree on. 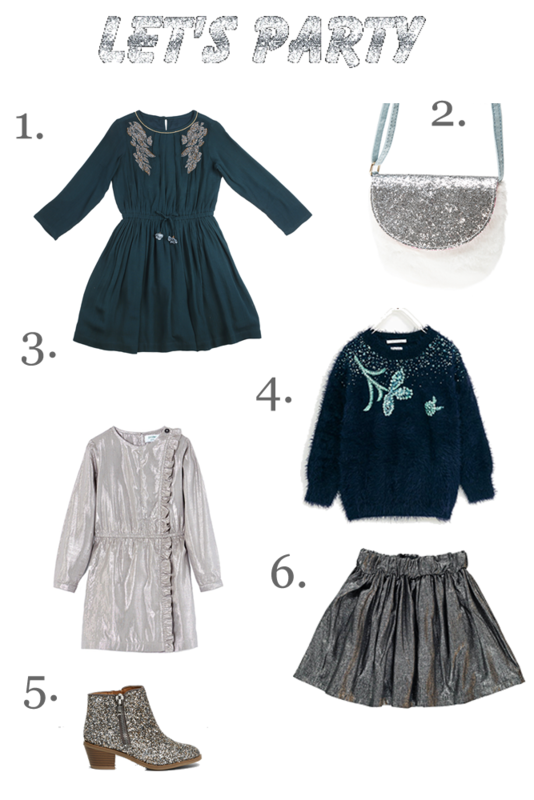 I have picked a few of my partywear favorites for tween girls this Christmas and also in our household for a winter birthday. Polder Girl Metallic side ruffle dress at Little Circle | £86 – love the 80’s vibe of this dress – Crystal Carrington eat your heart out! Apologies for the silence. It’s taken me a while to get back into the swing of blogging and it’s been so busy for me. I simply just had to share one of my favourite brands out there at the moment. I have been following them for a while and I have really fallen in love with them. 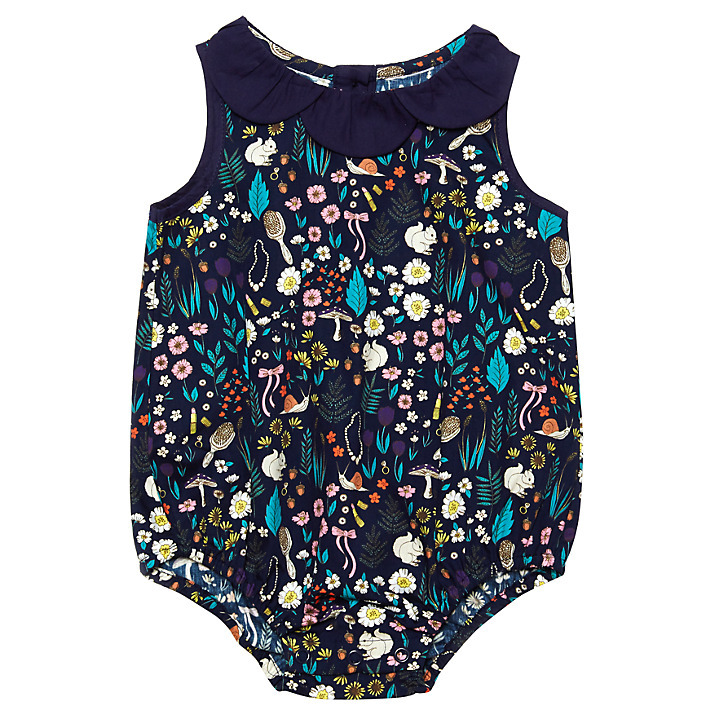 It’s called Apolina Kids and they design some of the most beautiful childrenswear. I seem to have a slight obsession with boho style, (it must be my Indian roots!) 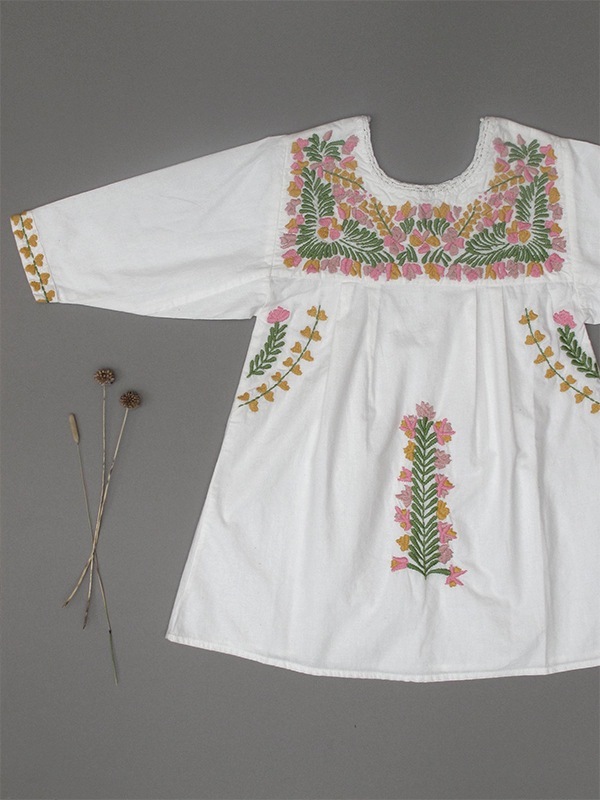 and the Mexican style embroidered jumpsuits and dresses which evoke a 1970’s feel are to die for. The only sad thing for me is that they go up to age 7-8 which is too small for Miss I. I desperately need another baby girl! Established by designer Caroline Duckett, Apolina was born out of a desire to create a more authentic style, not a passing trend but a modern bohemian range with longevity and a sense of craft. Fusing an inﬂuence of Californian vintage ‘mexicana’ with rich heritage colours inspired by traditional Scandinavian folk art, the collection of heavily embroidered pieces is both nostalgic and exciting. 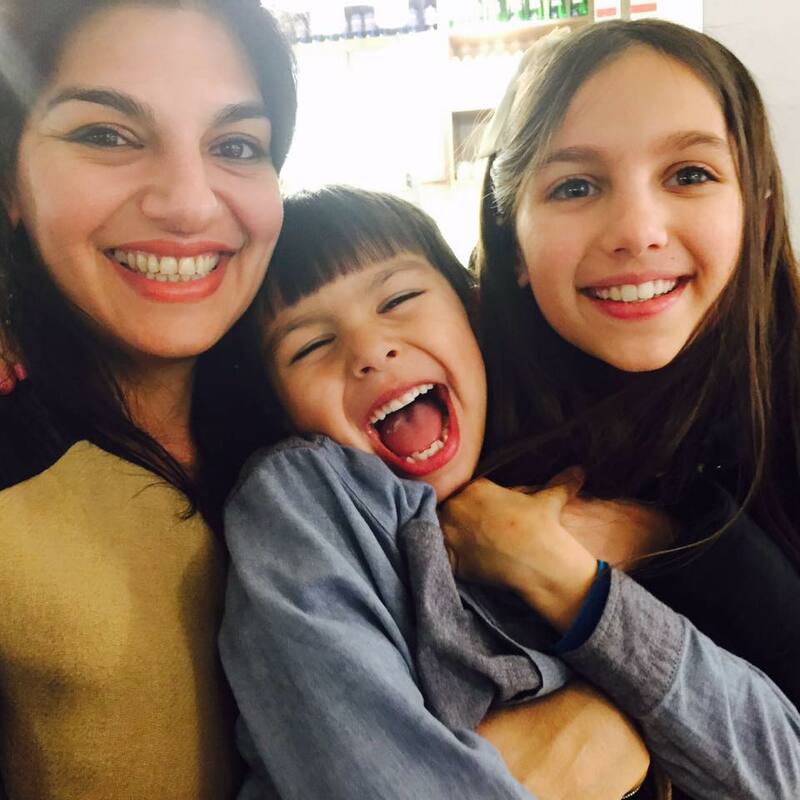 With a focus on highlighting Indian craftsmanship, Apolina Kids works with a small, family-run Indian manufacturer, who employs equal numbers of women and men (unusual for this industry; it’s usually men). Ethical trading and production practices are strictly adhered to and workers are not only paid a fair wage, they are also treated as members of the extended family. 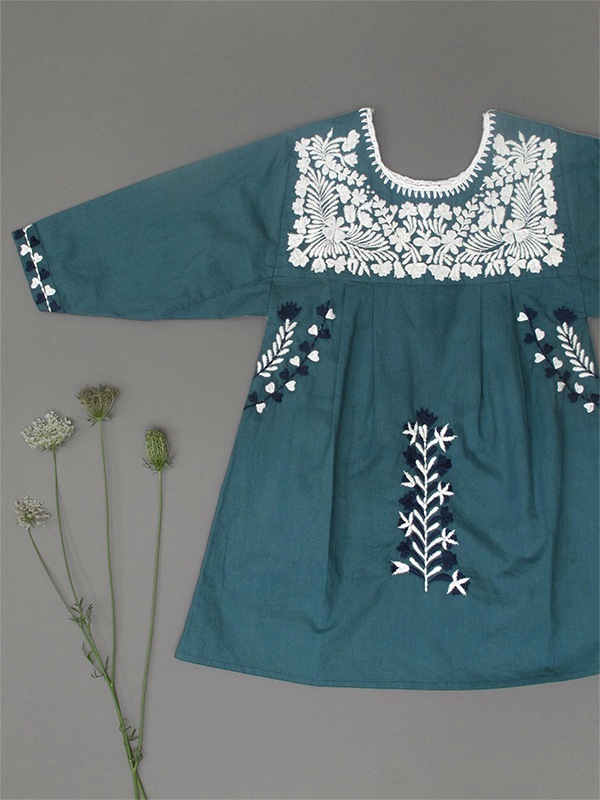 Each item is unique due to the hand ﬁnishing of the garment and the free-hand machine embroidery is carried out by artisan embroiderers. Garments are produced in limited numbers through ‘small batch’ production. It also embraces the idea of ‘slow fashion’, meaning that pieces can be worn for at least two years and to move away from that throw away culture. 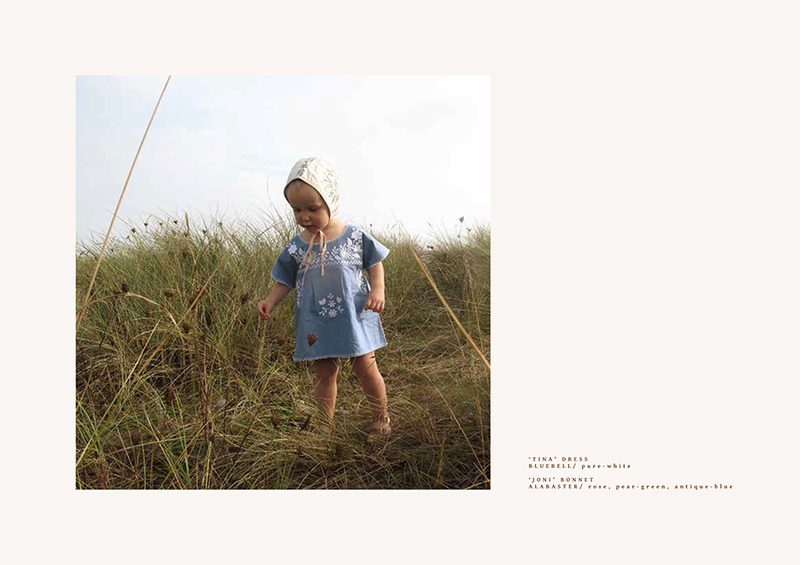 The ‘Pattie’ dress has a loose relaxed fit and the Tina tunic can be worn as a dress for babies or blouse for a toddler. 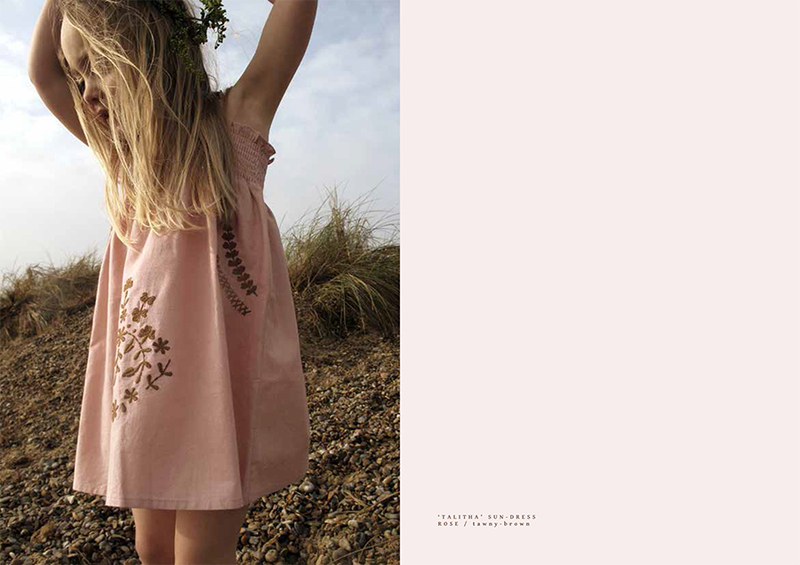 Apolina Kids recently picked up an award from Dot to Dot, the kidswear trade show for best new brand and was totally deserved. for The spring / summer ’17 collection is inspired by folk crafts picked up on travels to America and Sweden from embroidered linens to woven blankets. There are unusual colour pairings and pastel hues in dresses, jumpsuits and bonnets all re-imagined in a modern bohemian style. Here are a few of their Spring Summer ’17 pieces which will be out 15th February. You heard it here first. 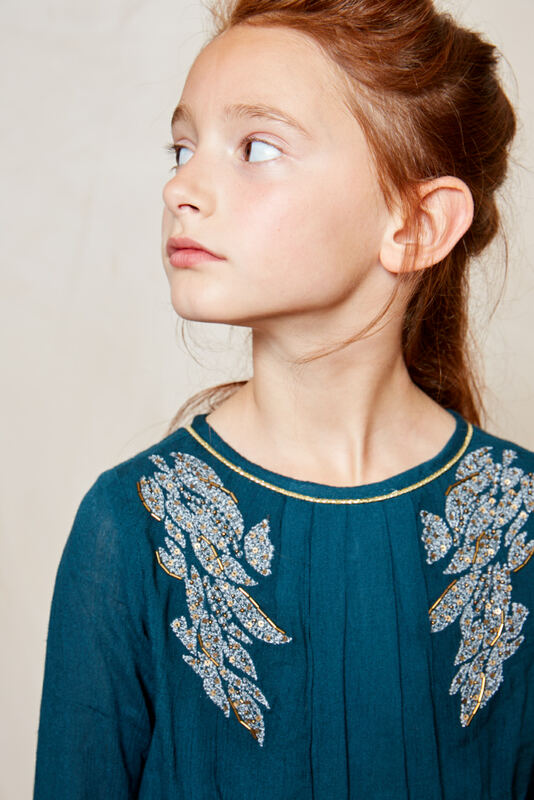 Below is the ‘Pattie’ dress from their AW16 collection which is now sold out but just gives you an idea of the beautiful embroidery. You know how we love to discover and showcase new brands at homework? Well I have come across a little gem here and it’s called Outside the Lines. 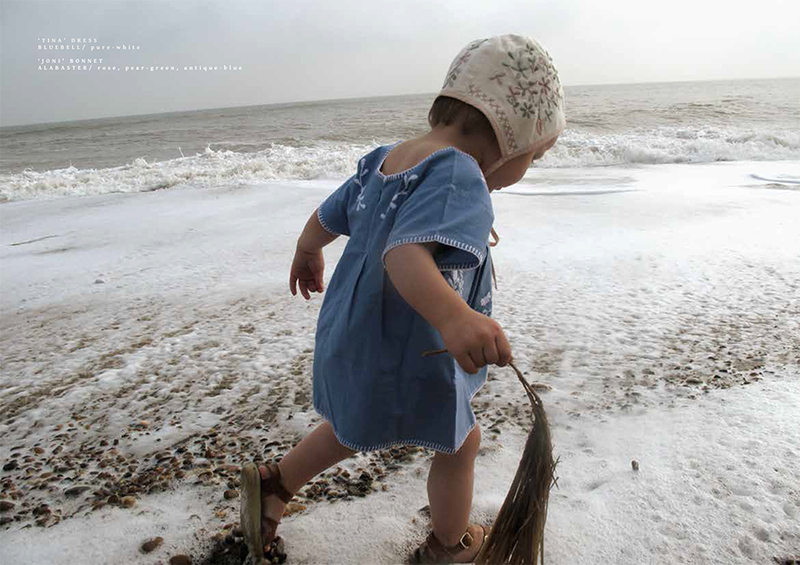 Outside the Lines is a new girlswear brand offering a carefully considered clothing collection for girls age 3-10. 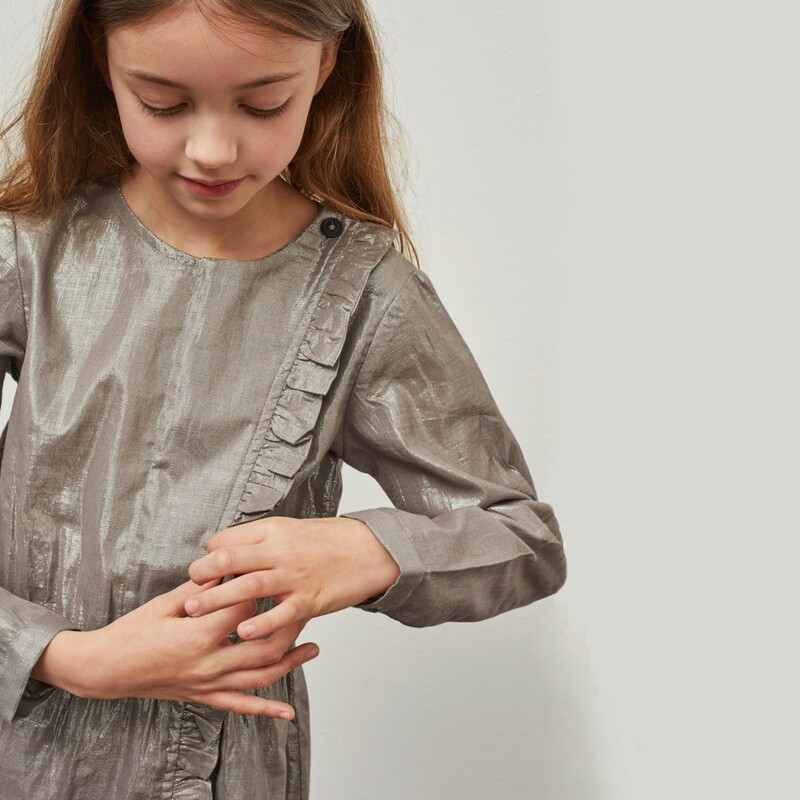 Each piece is designed in soft muted colours and eye-catching prints in a sophisticated and feminine collection catering for different personalities for girls who like to explore their own style. I first spotted them at the Bubble trade show in London earlier in the year and they were definitely one of the highlights of the show. Outside the Lines has been set up by two friends with years of experience in the industry who shared a similar vision to create a fun and comfortable girlswear collection which doesn’t compromise on quality. There is plenty out there at the designer and high street end of the market but little in between. With its price point and clothing starting at £25, I think Outside the Lines ticks all the boxes. Affordable, good quality and beautiful design. I would happily put Miss I in the entire collection. 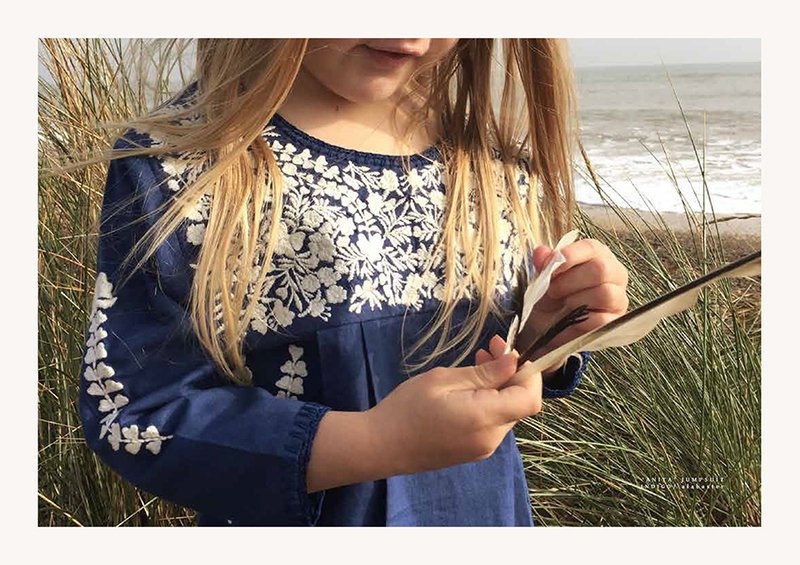 They have all the pieces required for a capsule wardrobe which can be dressed up or down from the skinny jeans which have the perfect fit to the Breton top with foil collar, twist hem embellished tutu and fringed cardigan. These are just a few of the hero pieces of the season and I can safely say there is a lot more to show. I have even had a sneak peek of their Spring Summer ’17 collection which exudes a boho and mini-Marant free-spirited style. Prices start from £25 and the online boutique launches on Friday 14th October. Personally, I cannot wait for this brand to launch. Check it out at www.outside-the-lines.co.uk and if you sign-up to the newsletter you will get 15% off your first order. 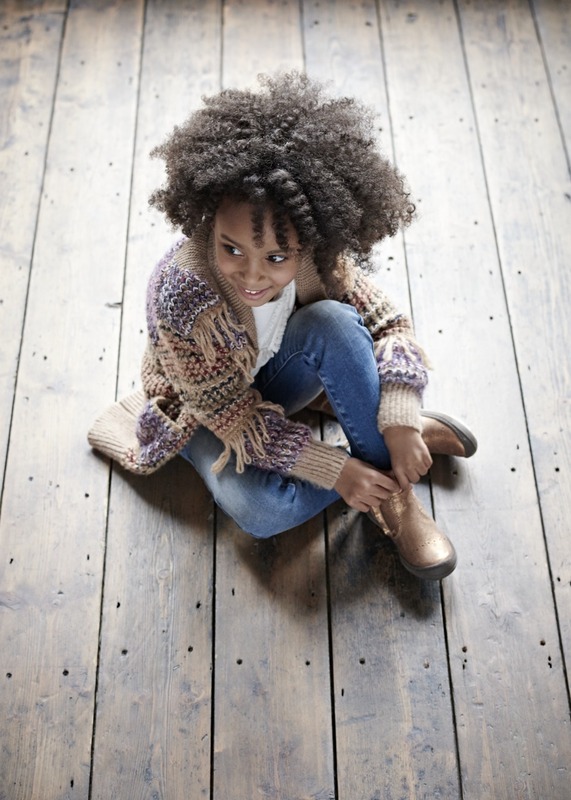 Margherita Kids is a new childrenswear collection designed by Margherita Missoni, one of the members of the Missoni family launching exclusively at John Lewis this month. 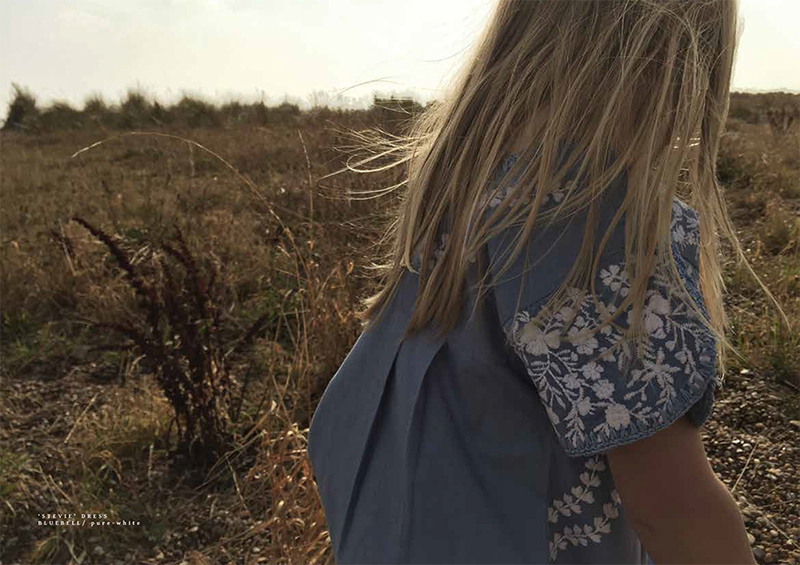 The 37-piece collection which has just launched online and in-store includes bohemian-inspired pieces from ages newborn to seven years old. Prints are bold and bright and exude a boho style that Missoni has become renowned for herself. Prices range from £20-£52. 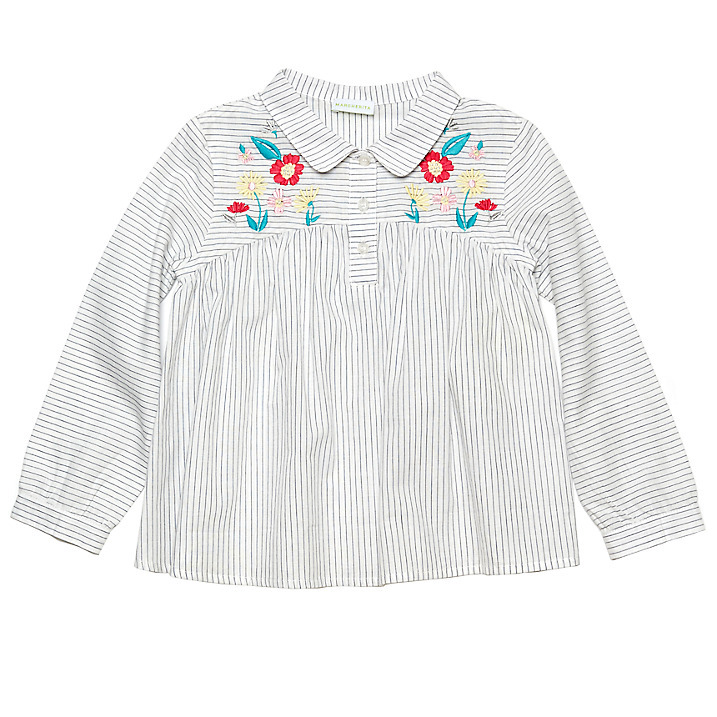 Prior to this, Margherita Kids was only available via Yoox so it’s a delight to be able to get hold of the collection in the UK easily. 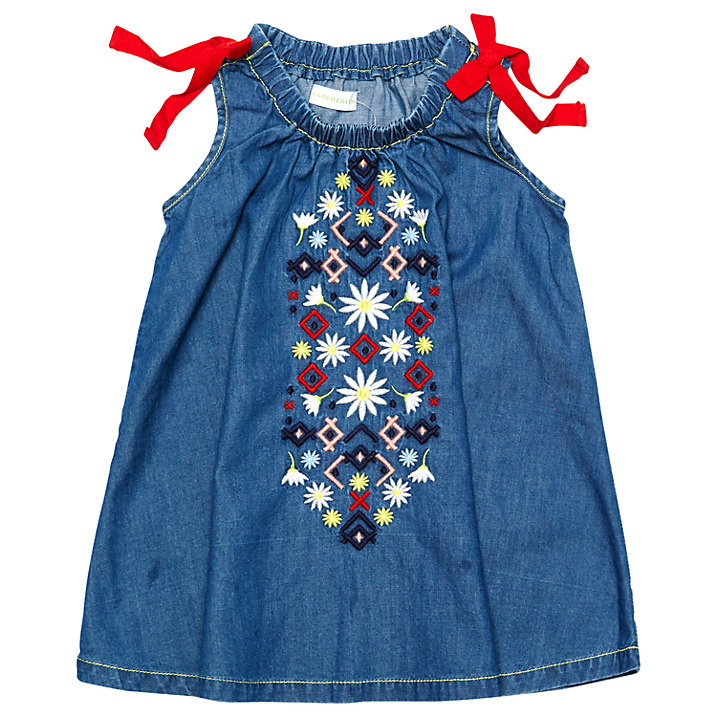 My favourite pieces from the Margherita Kids collection include the denim embroidered skirt, floral print bodysuit, the embroidered shirt and chambray dress. Sadly my one and only daughter is too big for this now although she could probably squeeze into the age 7. Better start breathing in! These pieces also make a lovely gift and won’t break the bank. Available now at John Lewis online and in-store. By chance my nine year old daughter and I seem to be wearing so many similar clothes these days which seems only natural to me. What I seem to buy, I also like for her and she mostly appreciates too. Luckily we are moving out of the pink stage. However I am not talking about exact versions of the same outfit but the wardrobe staples like denim dresses & dungarees, breton tops, most recently a summer trench and because it’s me and my obsession, a jumpsuit! 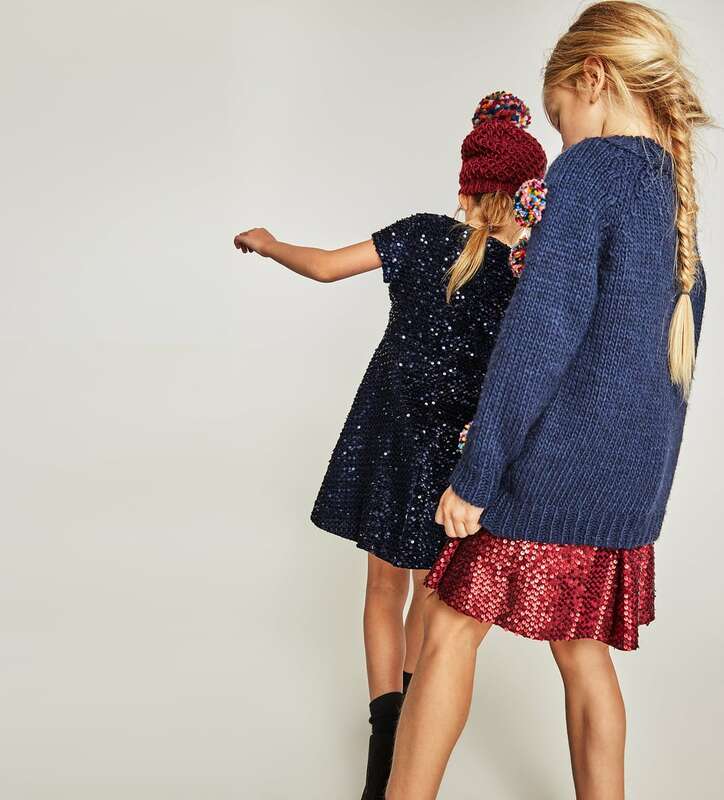 Mini Preen always shoot their campaigns with mother and daughter versions of the same outfit, Barbour adult and children’s sizes are selling like hot-cakes as are Hunter wellies for both generations and of course not forgetting Petit Bateau’s iconic yellow raincoat or mariniere. 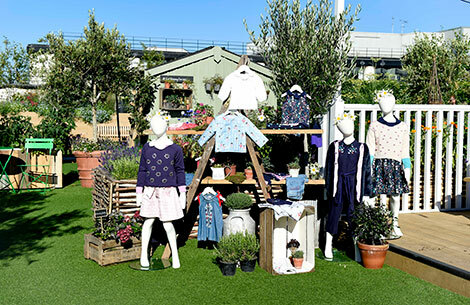 Around £5 billion worth of children’s clothing is sold in the UK each year so it’s no wonder that children’s fashion is going from strength to strength with many high profile designers getting in on the act. 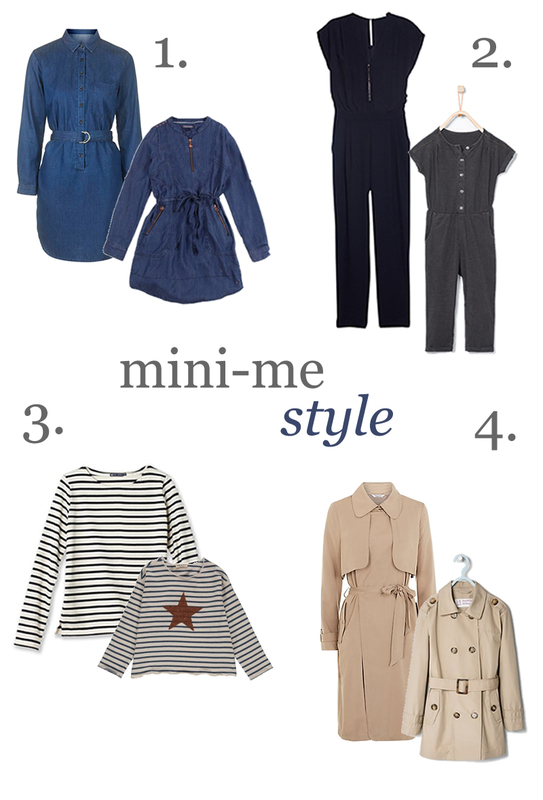 Here’s my little selection of mini-me style.